A software development team within the U.S. Air Force has developed an application designed to accelerate the process of planning the weekly maintenance and flight schedule for F-35 fighter jets, Defense News reported Wednesday. The service’s Kessel Run team built the Kronos app as part of the Mad Hatter program, which launched in 2018 to address the logistics issues facing F-35 pilots and maintainers. 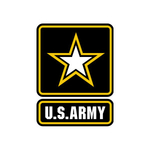 The U.S. Army will realign Installation Management Command as a subordinate command within Army Materiel Command by March 1, the Army News Service reported Monday. "The Army is implementing aggressive reforms to free-up resources for readiness, modernization efforts and to improve overall efficiency," said Brig. Gen. Omar Jones, the service’s chief of public affairs. Lisa Hershman, acting chief management officer of the Department of Defense, told Defense News in an interview published Friday that DoD is focusing on five key initiatives to find greater savings in fiscal year 2019. Those programs are category management; information technology and business systems; procurement of goods and services in a different manner; health care management; and logistics and supply chain acquisition. The Department of Defense has released a report assessing China’s military and non-military expansion efforts worldwide and their implications for the U.S. DoD said in the report released Monday that China has expanded through Digital Silk Road and One Belt, One Road initiatives; military access and engagement; economic presence; and technology acquisition. 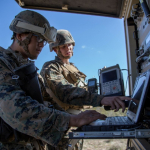 The U.S. Marine Corps has launched the upgraded version of a tool intended to monitor and report everyday maintenance and supply operations. Two military heads have said adopting a modernized logistics process will help speed up the delivery of aviation parts to aircraft maintainers and provide cost savings, USNI News reported Tuesday. U.S. Army officials have said the Logistics Civil Augmentation Program helped the Army Corps of Engineers respond to Hurricane Maria in Puerto Rico in 2017, DVIDSHUB reported Tuesday. Brig. Gen. Roy Agustin, director of logistics, engineering and force protection at U.S. Air Forces in Europe and Air Forces Africa, has said USAFE invested in deployable air base systems for deployment to operations across its 104-nation theater.